SIOP (Sheltered Instruction Observation Protocol) is an operational model for implementing sheltered instruction. The resources found here can be used as supplemental resources in implementing SIOP strategies. 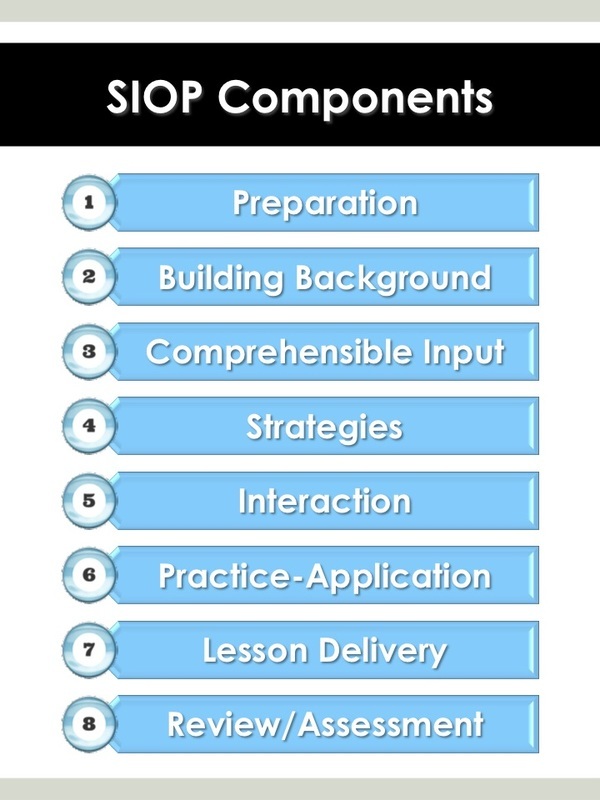 Listed below are the 8 components that the 30 features of the SIOP model have been broken down into. Feel free to explore the resources below on the right or Mrs. Hilliker's ELL and SIOP Resources website. Click on any of the components below to view more resources.